Ukrainians has used cottage cheese (fresh homemade curd) in ethnic dishes from ancient times. 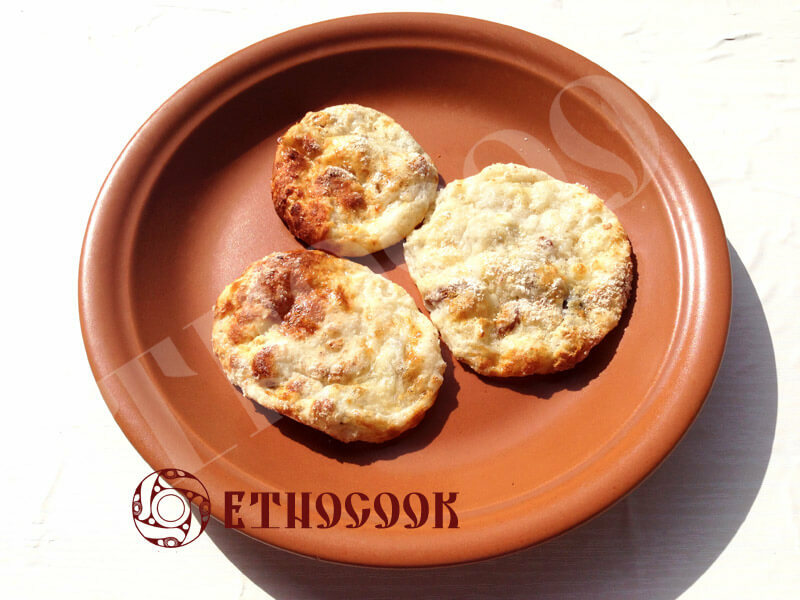 Soft and fluffy Cheese pancakes without flour has been very popular from the very beginning of Slavic cuisine to our days. 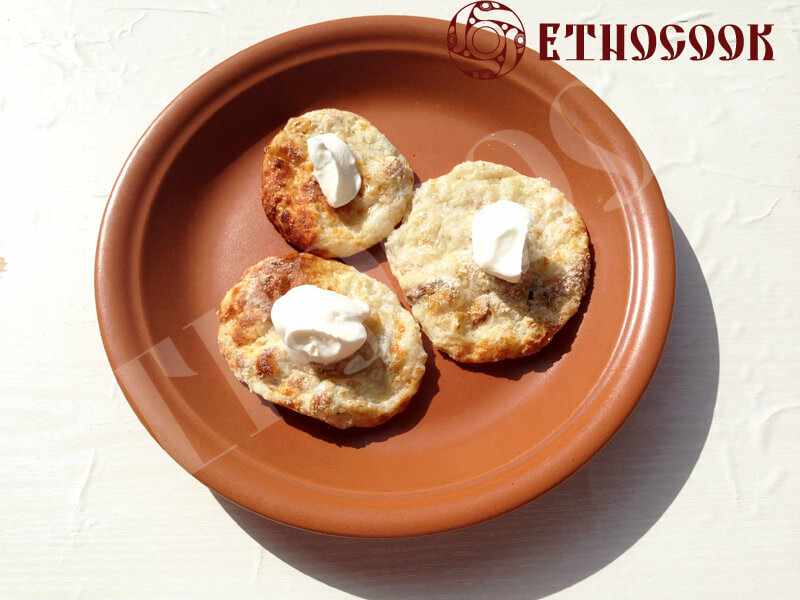 Cottage cheese is used as an ingredient in many Ukrainian traditional recipes from Etnocook such as popular all over the world Varenyky, Ukrainian Cheese dumplings (Halushky), it is added in the porridge, in baking rolls and in many other dishes. 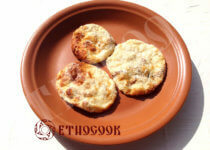 Ukrainian Cheese Pancakes without flour are very nutrient and taste really delicious. 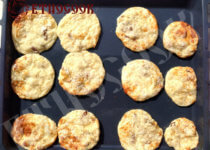 Prepare all the ingredients for Ukrainian Cheese Pancakes Syrnyky: cottage cheese, eggs, oats, and optional vegetable oil (sunflower oil), salt, sugar, raisins. Wash eggs in cold water and separate yolks and whites in two different deep bowls. 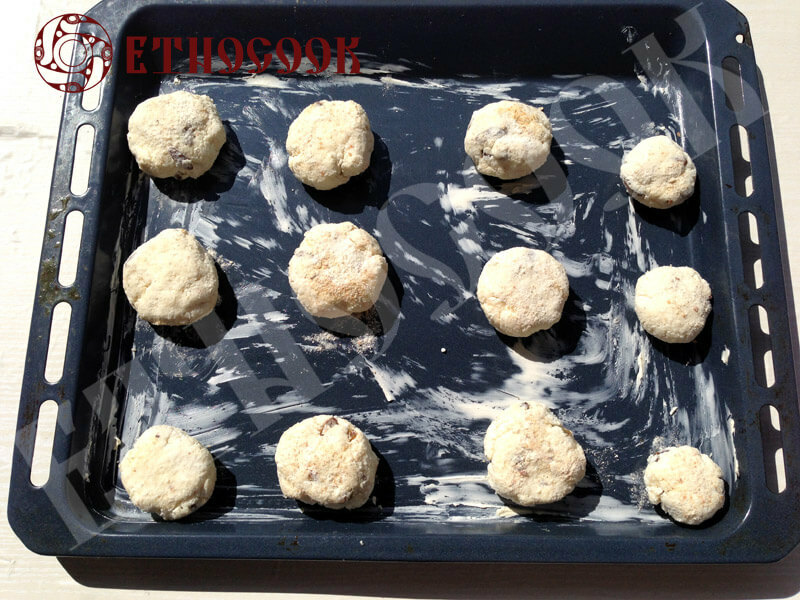 Add the cheese in a deep bowl with egg yolks, oil, oat flakes, add raisins, mix. 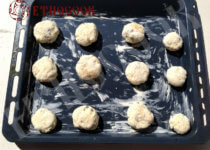 Optionally add a little sugar and salt to taste. 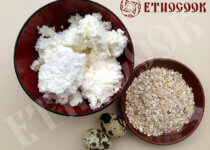 In the other bowl we whisk whites, carefully gently pour them into a cheese mass, mix. 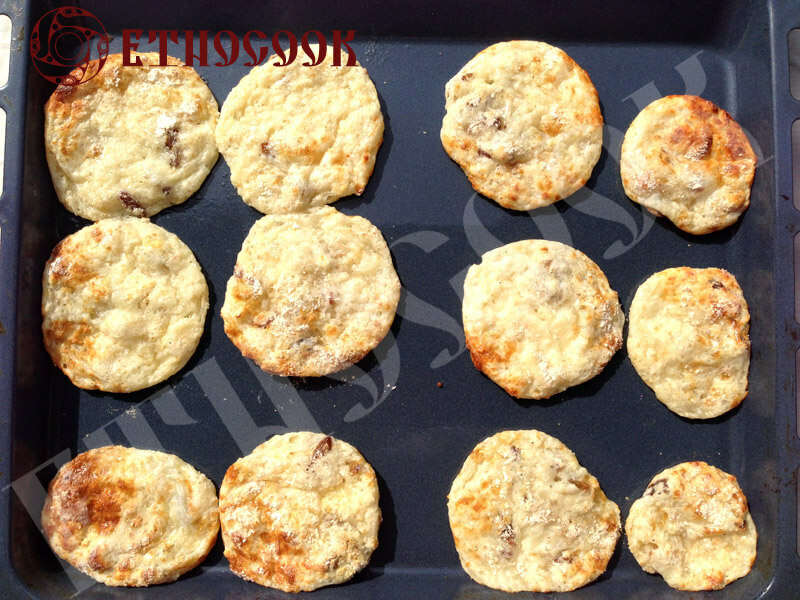 Make small round cheese pancakes and put them on a greased baking pan or on a parchment paper in a baking pan. 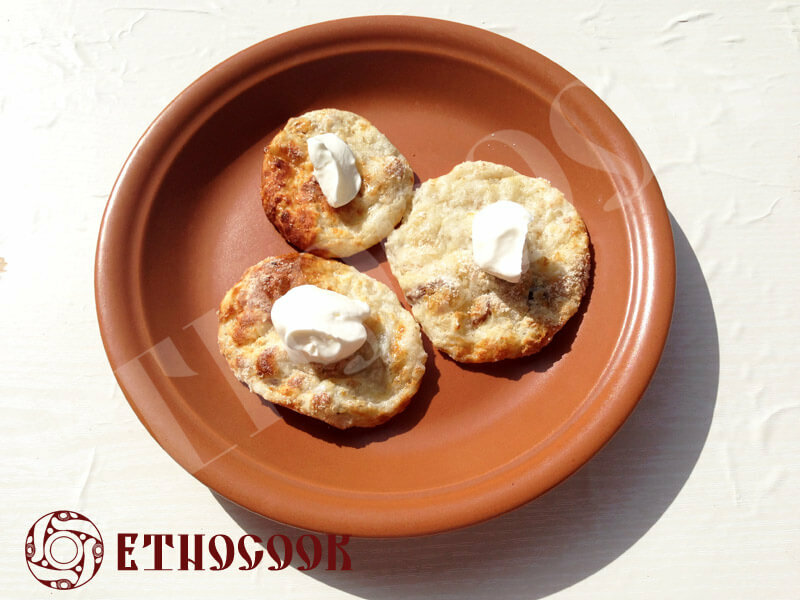 Serve Ukrainian baked cheese pancakes without flour hot, add sour cream or jam to taste.